Based on 10 years professional experiences ADFU offers services, such as 1) business advocacy, 2) explanatory guidance and 3) reference, enhancing international relations by creating an atmosphere of trust. ADFU is engaged in reputation management, and international branding consisting of a tailor made mix of: Public Diplomacy, Public Affairs and International marketing (see chart below). Branding is embedded in the program format. Programs are focused on current topics only, stimulating thought-provoking insights in matters of state, political decision-making, and financial and economic developments. All programs are inter-active, non-biased, enriching international perspectives, not to be obtained through open sources. Selected decision makers and influencers from the triangle of government, business and NGO’s highlight their views, opinions in accordance with the ADFU concept, and our open philosophy. The Government in the Netherlands is in charge of the administration as the executive power. The government consists of the King and the Ministers in accordance with article art. 42 lid 1 of the Constitution. The Dutch governmental system is identified as decentralized. However one should consider that during the Napoleonic administration more cohesion was imposed between the various provinces and towns. Constitutionally, the Queen is head of state and has a role in the formation of government and in the legislative process. She has to co-sign every law to make it valid. The monarch is also ex officio chair of the Council of State, which advises the cabinet on every piece of legislation and is the final court for administrative law. Although the Queen takes these functions seriously, she refrains from exerting her power in these positions. Traditionally ADFU organizes a seminar in January to evaluate the implementation of the budget as proposed during the third Tuesday in September at the occasion of the opening of Parliament by Her Majesty Queen Beatrix. This is an excellent occasion to see how after a year in power the actual coalition is performing. Certainly it has been a challenging period with the EURO in limbo, dramatic budget cuts for the cultural sector and cut backs in the personal budget in the health sector. The palace was a residence of the House of Orange-Nassau from the 17th century until the death of Queen Wilhelmina in 1962. The building was renovated between 1976 and 1982. Since 1984, the palace is a stae museum open for the general public, showing interiors with original furniture, objects and paintings of the House of Orange-Nassau. The Queen’s Office forms the link between the head of state and her ministers. The Office arranges meetings between the Queen and the ministers and state secretaries. It also deals with requests from ordinary citizens. The Royal Archives date back to the regency of Queen Emma. The construction of the repository at Noordeinde made it possible to manage the archives, the library and the historical collections from a central location. The various collections continue to grow steadily, thanks to donations and purchases. After 1945 the director of the Royal Archives was also put in charge of the historical collections in the palaces. The former palace (Lange Voorhout Palace) dating from the eighteenth century. Queen Emma (Emma of Waldeck Pyrmont) bought the stately house in 1896. She used it as a winter palace from March 1901 till her death in March 1934. 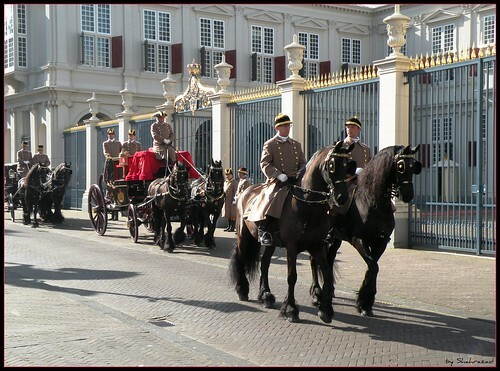 Four Dutch Queens used the palace for their business offices, till Queen Beatrix moved the office to Paleis Noordeinde. The House of Representatives is the main chamber of parliament, where discussion of proposed legislation and review of the actions of the cabinet takes place. Both the Cabinet and the House of Representatives itself have the right to propose legislation; the House of Representatives discusses it and, if adopted by a majority, sends it on to the Senate (Eerste Kamer, literally "First Chamber").The Tweede Kamer is the highest authority and legislative power in the Netherlands. De Eerste Kamer was added in 1813 upon the request of the Belgians). The cabinet of the Netherlands is the main executive body of the Dutch government. There are between 12 and 14 Ministers, most of whom are also heads of specific government ministries, although there are often one or two ministers without portfolio who have areas of responsibility inside one or more ministries. ADFU has worked with nearly all Ministries in one or more programs. Most prominent were the Ministries of Foreign Affairs, Economic Affairs, Justice, Finance, and Agriculture – where we introduced the diplomatic participants into the structure, workings, and responsibilities, as well as policy making, along a theme or issue on the level of department directors or above. Serving the Common Interest, a book written by Mr. Rob Visser, Director General for Legislation, International Affairs and Immigration of the Ministry of Justice, was part of one of our programs. The author was sharing his insights in the issue mostly based on his recent book. The book is about Ministerial responsibilities and Parliamentary trust. Another prominent speaker in one of our programs was Mr. Roel Bekker, a former Secretary General for Government Reform, of the Ministry of the Interior and Kingdom Relations (BZK). Mr. Bekker gave an insight in the way the Dutch government is trying to shrink the public administration. He also has recently written a book on the inner workings of the Dutch administration in the higher levels. There are a great number of Councils in the Netherland established to advise the Government on aspects of the Dutch society. Lately the number of them has been decreased in view of the austerity measures. One could argue that such councils are an interface between government and civil society, which is not necessarily the case. Many councils – if not all – are established by law. A number of them were involved in various ADFU programs, in relation to advices or reports published, put into a wider context, and showing the interactions with other layers of government and the private sector theme-related; to wit: the Council of State, the Court of Audit (De Rekenkamer), the Social and Economic Council (SER), the Scientific Council for Government Policy (WRR), the Council for Public Health & Health Care, and the Council for Public Administration (ROB). The Dutch consensus building and the role of the S.E.R. The government agenda being reconsidered. A Dutch province represents the administrative layer in between the national government and the local municipalities, having the responsibility for matters of subnational or regional importance. The government of each province consists of three major parts: the Provinciale Staten which is the provincial parliament elected every four years. Elected from its members are the Gedeputeerde Staten, a college charged with most executive tasks, presided by the Commissaris van de Koningin appointed by the Crown. Visits to particular provinces in the ADFU program framework are related to particular topics, and the interactions between the provinces themselves and other administrative layers. In this way the following provinces were visited: Limburg (2X), Zeeland, Fryslân, Gelderland, and Noord-Holland (2x). The ADFU diplomatic participants were welcomed by the Queen’s Commissioners, Gedeputeerde Staten and representatives of Provinciale Staten, as reflected in the travel journals prepared for those field trips, starting with mr. Harry Borghouts) Queen’s Commissioner in Noord-Holland, Mr. Leon Frissen, Governor of the Province of Limburg, and others. Various provincial representatives, politicians and experts – , were invited to share their views around the ADFU Round Table discussions, and similar network meetings. Dutch water boards (Dutch: waterschappen or hoogheemraadschappen) are regional government bodies charged with managing water barriers, waterways, water levels, water quality and sewage treatment in their respective regions. These regional water authorities are among the oldest forms of local government, some of them having been founded in the 13th century. Lately the number has been drastically reduced. The Union of Water Management Associations is an association of all the water management associations in The Netherlands (26). The said Union is representing the interests of the regional water management associations with the Government in The Hague and the European Commission in Brussels and has connections with other umbrella organizations and water management organizations in several countries all over the world. All provinces are divided into municipalities (gemeenten), together 415 (1 January 2012), excluding the 3 public bodies ("special municipalities") of the Carribean Netherlands. Recent politics have led to a great number of mergers between smaller municipalities or with cities, with the latest merger occurred on 2010-01-01. The process is set to continue in the future. On 10 October 2010 Bonaire, Saba, and Sint Eustatius (the Carribbean Netherlands) became part of the Netherlands per se, each with a status similar to that of a municipality. Members of the College of Burgemeester and Wethouders (aldermen) received the participants, and explained the theme from a municipal point of view, giving more details about their policy priorities: Local Democracy (dualism), the Social Welfare System, and the municipal service level. As a relatively small country in a Delta the Dutch Economy is open and depends much on international trade and international relations. This has had its reflection in nearly all ADFU programs. An overview of most international and cross border subjects dealt with, is given below at random. Financial crisis in emerging markets? Civil liberties are Civil rights and freedoms that provide an individual specific rights. Though the scope of the term differs amongst various countries, some examples of civil liberties include the freedom from slavery and forced labor, freedom from torture and death, the right to liberty and security, freedom of conscience, freedom of religion, freedom of expression, freedom of assembly and association, freedom of speech, the right to privacy, the right to due process, the right to a fair trail, the right to own property, the right to defend one's self, the right to bodily integrity, and the right to keep and bear arms. The area of civil liberties is wide and frequently underestimated. They concern values in their own right, independent of the character of the regime, even if we will acknowledge that democratic regimes seem less threatening to civil liberties than autocratic regimes. The infringement on privacy in the electronic field (ICT) is in general grossly underestimated. Terrorism itself is a direct threat to civil liberties, not as much as a direct effect, more so in the shape of measures taken by authorities against terrorists, which infringe upon civil liberties, by treating all citizens as potential terrorists. Welcome and Introduction to the project ANTWOORD. If God is Love, Justice is human, because laws are made by men, and they are – to a certain extent – a reflection of the norms and values guiding a particular society. Fairness by judges is all that citizens may hope for. Aspects of rule and law have unavoidably been part of ADFU programs independent of the themes. The House of Representatives (Tweede Kamer) is the main chamber of parliament, where discussion of proposed legislation and review of the actions of the cabinet takes place. Visit to Castle Loevesteijn, once in 1619 a prison to one of Holland’s famous scholar; Hugo de Groot. Hugo de Groot was also the subject of our Summer Network Reception (SNE) in 2008, prior to the celebration of the city of the Hague that same year. The SNE was supported by the Ambassador of Sweden considering that Hugo de Groot was once the Dutch envoy to the Swedish government. We paid particular attention to the takeover of the Dutch ABN-AMRO Bank in 2008, touching upon subjects such as: A Legal view on the ABN-AMRO take over, and How activist shareholders look at corporatist and the role they played in the ABN AMRO public take over. We made it a point to hold certain activities in the The Hague Peace Palace, as the seat of international law, because it houses the international Court of Justice (which is the principal judicial body of the United Nations), the Permanent court of Arbitration, the Hague Academy of International Law, and the extensive Peace Palace library. During the programs, ADFU also paid attention to other international organizations established in the Hague, like OPCW (Mr. Liu Zhixian, Director External Relations Division), the European Patent Office, Interpol, the Institute for Environmental Security (IES), NATO3, OSCE (Mr. Knut Vollebaek, OSCE High Commissioner on National Minorities), the European Centre for Conflict Prevention, part of the Global Partnership for the Prevention of Armed Conflict (GPPAC), OxfamNovib, UNEP, etc. 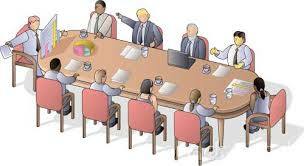 ADFU has organized a great number of Round Table Meetings. Those meetings were sometimes part of a particular program, but a number of them were stand alone, and had their own mix of participants. The target audiences were often representing the civil society, mixed with officials and business people (CEO’s), not mentioned in the list below. Equally the subjects varied to a great extent as has been ADFU’s hallmark for the past seven years. These meetings also had a variety of objectives, such as an exchange of information on a topic, brainstorming (forward thinking), matchmaking, and/or networking, or a combination of those – which do not necessarily fit our traditional programs, yet were very fruitful. The effects of secularization’; from where get citizens their basic ethics, from state, religion, family, law or elsewhere? The Dutch Health Insurance: the best in the world? Occupational Health: Do we know what works?